One Of the best label nights will be the Undertow showcase on Sat. August 12 at the Oasys Mobile Stage. You can catch Steve Dawson, Magnolia Summer, Waterloo, Glossary and the Love Experts. Here's what I've got on just one of these bands. Cuba Street is the new ep on Undertow from perfect popmeisters The Love Experts. Hailing from St Louis, The Love Experts are more of a myth than a band. 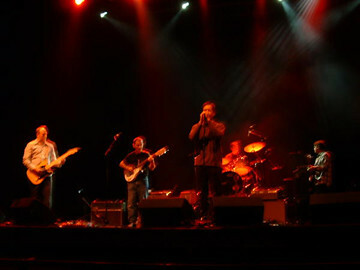 Led by Steve Carosello, the band has been around in one form or another since 1988. This is their debut cd. Here's two songs from Cuba Street including the title track.